Those apples look fabulous! and so do the chips. 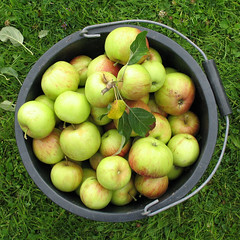 The apples in the bucket look similar to ones in my mother's garden - are they really juicy? 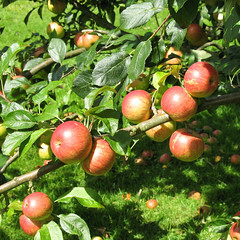 Her apple tree is a Laxton's Fortune (there are other Laxton's varieties). The deep red apples on the left could be Discovery. Wonderful entry Nic. We dry our apples back home. We peel them, core them, cut them into slices, string them up and hang them behind the wood stove for several days. 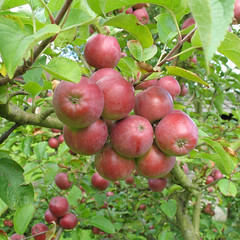 Then we pop them into bags and we have lovely dried apples to make pies with in the winter or just to munch on! If you want them to stay white you can soak them in some acidulated water first. 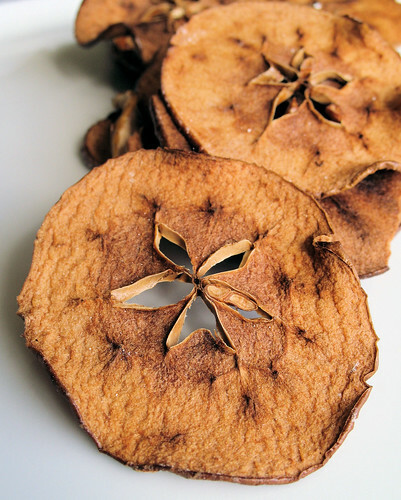 I usually don't like apple chips because they're too soft in the middle, but these look crispy and just right! Whoa, those look really good! Cool recipe. 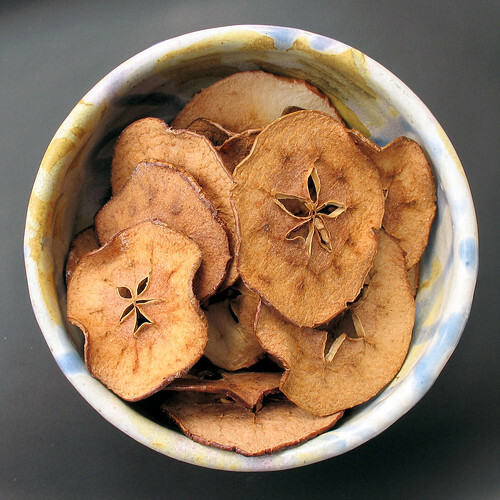 These apple chips look great! Celia - they are quite juicy and very sweet! 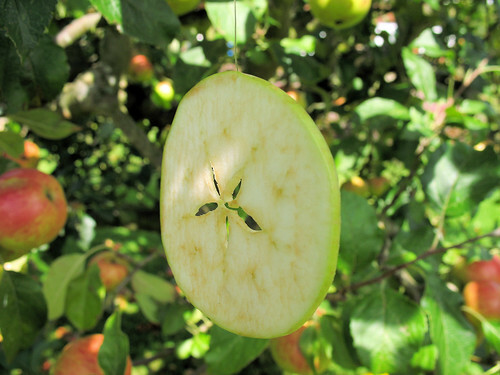 Marie - great way to dry apples, now if only I had a wood stove....! Hillary - they are very crispy, but you need to eat them within a couple of days, or they'll get soft. Fiber - I'm so glad I'm not the only one to do that! And this was my first time using the mandolin too, but I think I made it just past 3 minutes, so you win!!! Nicisme, your blog is beautiful, i loved!! What a cool idea - thank you! !